Hey, did you hear Robert Downey Jr. was supposed to make a "huge announcement" about the Avengers today on Good Morning America? No? Well, then consider yourself lucky because the "announcement" was a huge bust. At least we learned an animated MCU something-or-other is happening. This actual news comes to us from Marvel's VP of Animation Development and Production Cort Lane, at the Marvel Animation panel at WonderCon. Literally, all he said was an animated MCU project was "in the works," but whether that's a theatrical animated movie, a direct-to-home video animated movie, or a new cartoon TV series is anyone's guess. 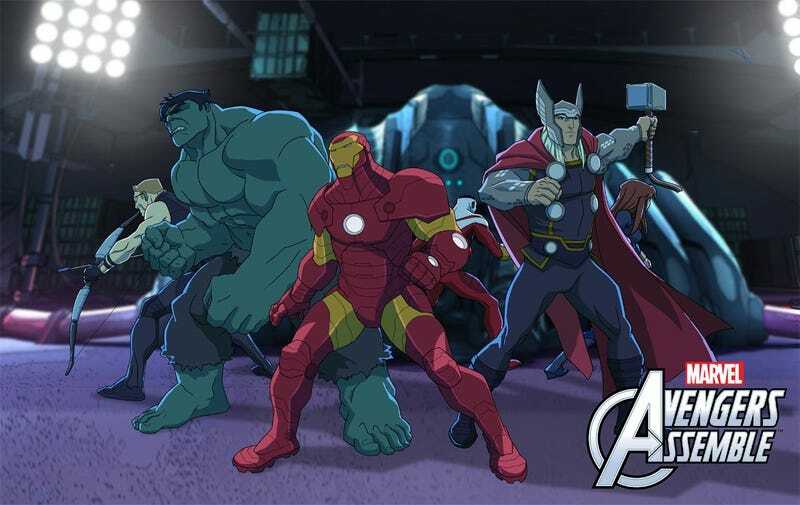 However, I'm assuming it won't be the latter — Marvel is already building a little animated universe with Avengers Assemble, Ultimate Spider-Man and the upcoming Guardians of the Galaxy cartoon, and suddenly adding a show that takes place in the movie world seems needlessly confusing for the shows' young, intended audiences. As for that "huge" Avengers announcement, Good Morning America announced that the cast of Avengers: Age of Ultron would be on Good Morning America later this week (as well as Jimmy Kimmel Live). That would seem to be a huge announcement solely for the staff of Good Morning America, and not for anyone else, since it's just another talk show appearance. Oh well.